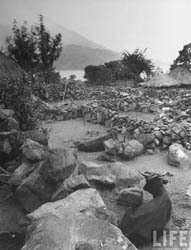 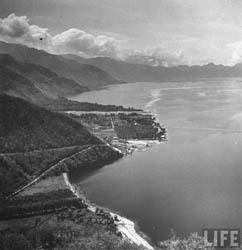 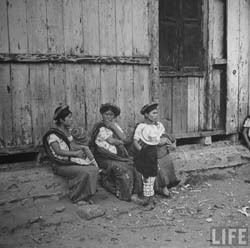 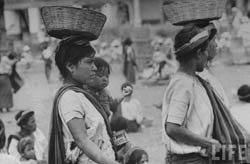 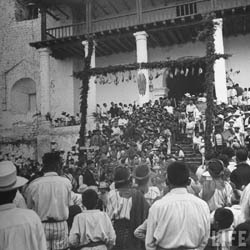 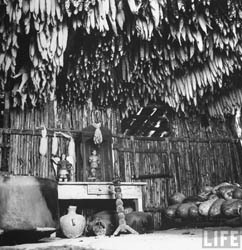 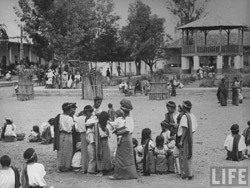 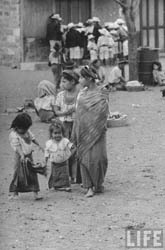 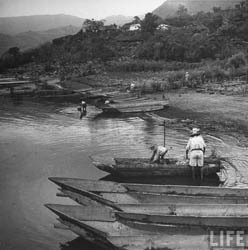 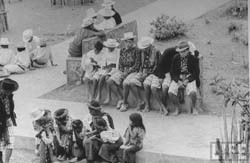 Viernes Santo en Santiago Atitlan, 1945. 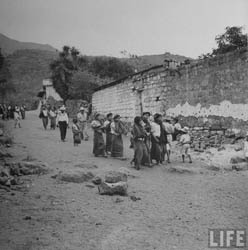 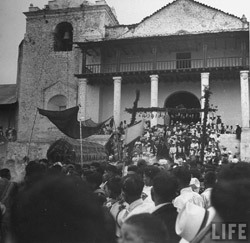 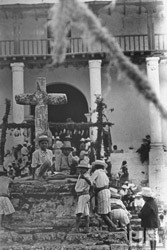 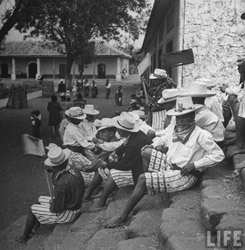 Good Friday in Santiago Atitlan, 1945. 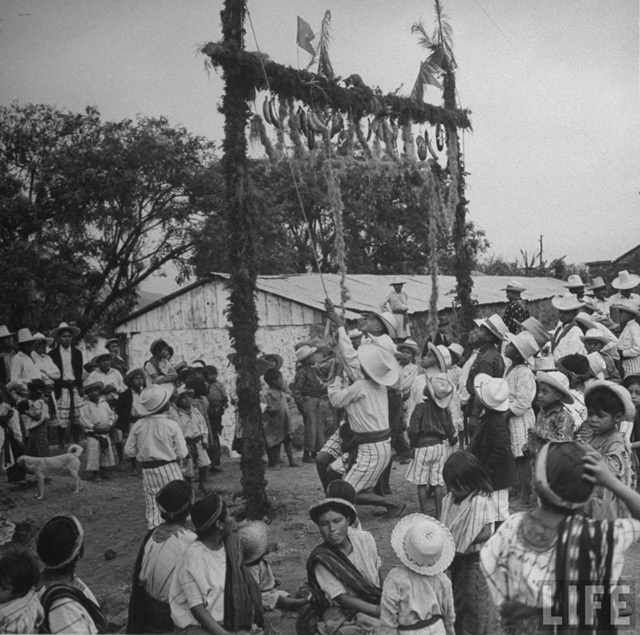 The fiesta arch being towered, on it sits a wildcat pup.